Optimized travel luggage. Coach class seating. Overflowing overhead bins. Airline food. These descriptions do not inspire the traveler – and they do not tell the full story of modern airline travel. 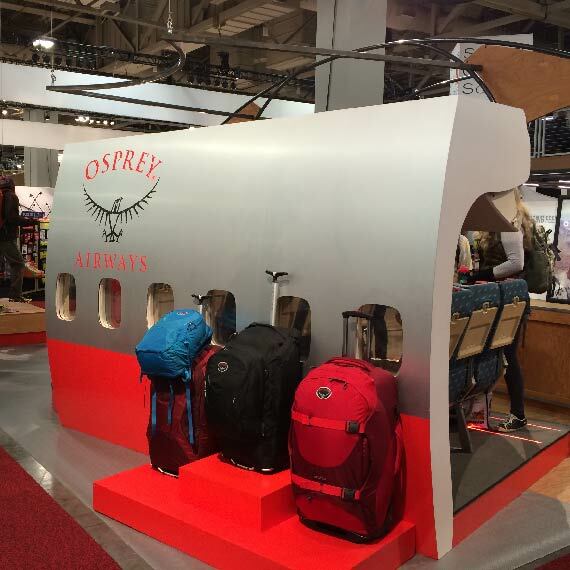 Osprey’s re-imagined line of luggage levels the playing field and brings romance back to travel. But how? You must try it to believe it. We did – and we do. Armed with an idea, we took our tool chest deep into the desert where old aircraft go to rest. We scored ourselves a genuine aircraft interior from a Boeing 747. 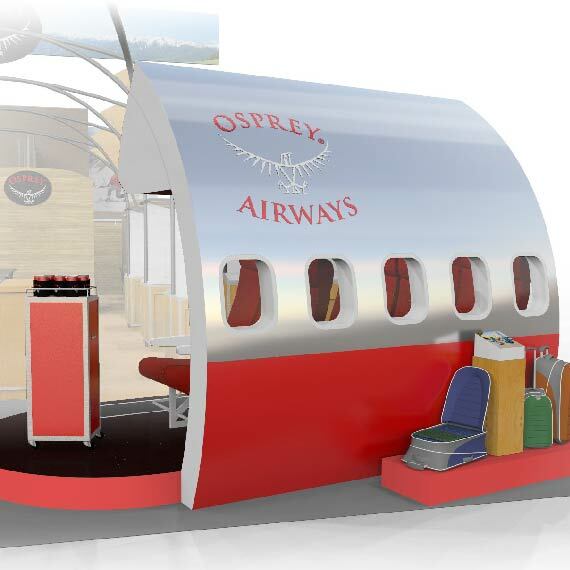 With some trick reengineering and world class fabrication support, we delivered the talk of the show – straight into Osprey’s booth. Place your luggage in the bins. Slide it under the seat. Slip into the only unassigned seats you will find on the tradeshow floor. It created a showcase, an experience with the product, and a place to kick your seat back for a moment or two. We are hands on – we want your customers to be too.